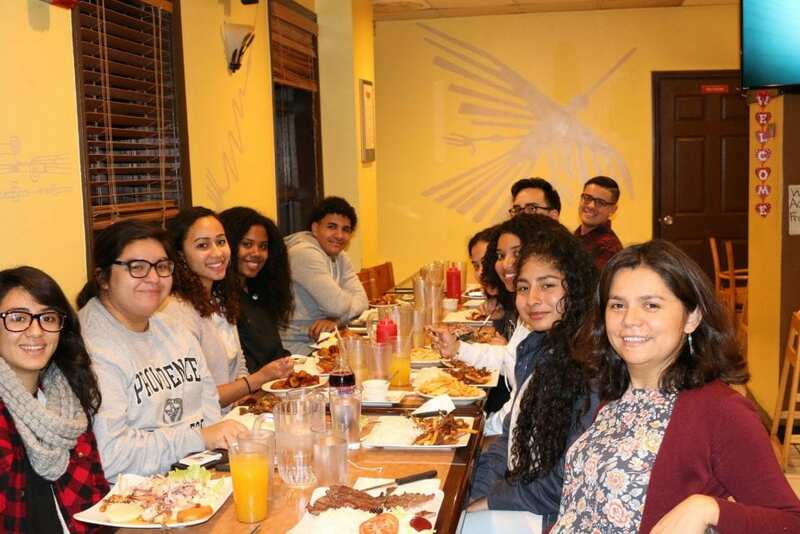 Students enrolled in SPN 205 Spanish for Heritage Speakers attended a dinner at Machu Picchu Restaurant on October 17 of the current year. The dinner was sponsored by a PC “Student-Faculty Interaction Mini-Grant.” SPN 205 is a composition class for students who grew up in a home where Spanish was spoken. In this class, in addition to learning more about the Spanish language, students are also learning more about their cultural heritage ,as well as about the different groups of Latinos/Hispanics in the United States and their contributions to American society. This gathering was a meaningful way for the students to share, in a casual setting, experiences and views about each other’s cultures.